Both sizes have blue flashes of color. The black markings are included tourmaline. 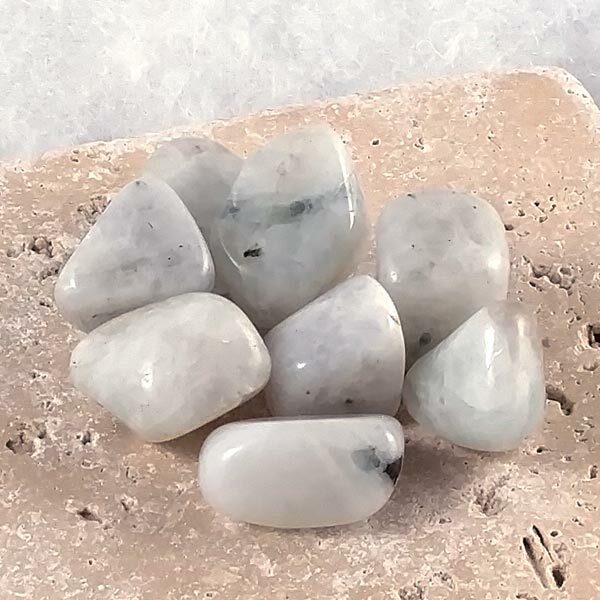 I also carry Regular Moonstone in assorted colors. 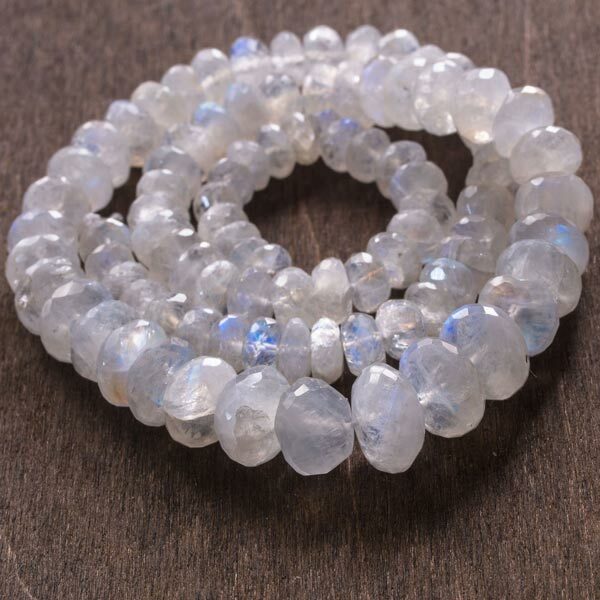 Rainbow Moonstone encourages lucid dreaming, especially while the moon is full. It is also an aid to the cycles of our spiritual growth.